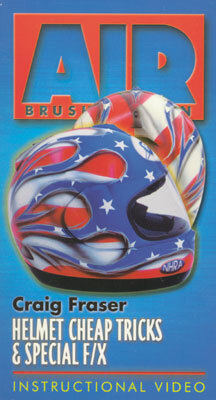 " HELMET CHEAP TRICKS, & SPECIAL FX"
Since the first helmet video was so popular, we decided to crank out another. This video covers all the techniques, and tricks needed to create a retro patriotic helmet, as well as a full faced skull design. Both timeless designs, and killer money-makers.